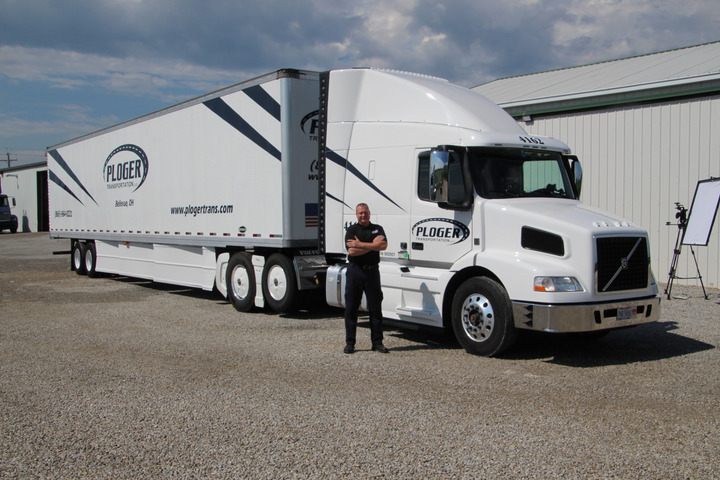 Joel Ploger, driver and technology officer for Ploger Transportation, has been studying Class 8 fuel economy for years. Magazines pages are like real estate. You’ve only got some much room to work with. And sometimes you can be in a panic trying to fill that real estate up. Other times, you’ve got too much material on your hands and you run out of room. That was the case with my June article in HDT, Real-World Fuel Economy Lessons from NAFCE’s Run on Less Event. Joel Morrow, who is a driver and the chief technical officer at Ploger Transportation gave me a really neat and simple little trick to boost fuel economy on brand new trucks straight out of the box. Morrow said that the very first thing Ploger technicians do when a new truck rolls onto their yard is get it into the shop and pull the wheels off to check the tightness of the wheel bearings on the vehicle. That’s because, according to Morrow, 9 times out of 10, the bearings on the truck are way over-tightened at the factory to the point where they act as a braking force when the truck is cruising down the highway. Using a simple torque wrench designed specifically for truck wheel bearings, Ploger techs check the bearings and back off any that are too tight, then re-torque to the correct manufacturer-recommended settings. The results, as you can see in this video that Morrow and Ploger have up to help other fleets with this issues, are impressive. In fact, Morrow says, just checking the tightness on new truck wheel bearings and backing them off if over-tightened can give you a full 1 mpg boost in fuel economy without doing anything else. OEM engineers tell us over and over again there’s not much blood left in the turnip when it comes to boosting Class 8 fuel economy. But, as Morrow has shown, there are still plenty of quick and easy little tricks out there that can help you get your fuel efficiency numbers headed in the right direction fast.